The above sponsors all provided merchandise or prize money for our Chapter events. Please thank their representatives when you see them. has been extended to April 15th. Going into the final round with matching five shot leads, the day would pretty much be a match play situation between Jeff Seavey and John Hickson for the title. These two had been there many times before and this one didn't disappoint. Neither player ever got more than one shot ahead until the 17th hole. Hickson carded	double bogey, bogey on the last two holes, while Seavey made pars on holes 17 and 18, sealing the victory by three shots. 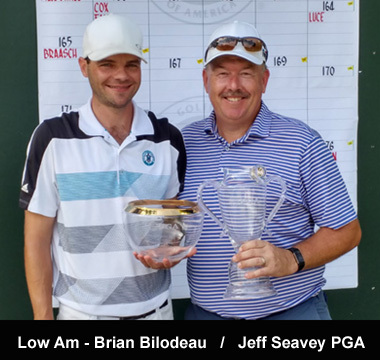 Brian Bilodeau playing in the final group with the two Professional Division leaders, was tied for low amateur honors with Justin Beauregard after Round 1. Despite having three 7s on his card, he added three birdies and was able hold on for a one shot victory over charging Jason MacDonald. Having struggled to a 92 in the first round, Northport Golf Club Professional Robb Herron, came back in round 2 and posted a fine 84 to take Senior Pro honors over Bob Mathews by one shot. Ed Grossman, playing out of Mingo Springs GC, nearly matched his 87 from Round-1, posting a second round 88 to take the Low Senior Amateur title over Tom Foley by eight strokes. This Pro-Am was the Chapter’s first Scholarship Event of the season. Entry fees were increased by $10 per player and a total of $1,040 was realized for the Maine Scholarship Fund. 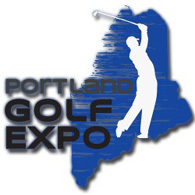 A second Scholarship event is scheduled for September 24that Portland Country Club. With a last name starting with “V”, Portland CC head professional, Dan Venezio probably spent a lot of time at the back of the line in his early years, but at Tuesday, May 22nd’s Pro-Am, Dan stormed to the front with four birdies, carding a 2-under 68 to take low Professional honors. Teeing it up in the 3rd group of the day, Dan got it going in the middle of his round, playing holes 8-13 in 4-under. Copyright © Maine Chapter NEPGA. All Rights Reserved.